Post 12 of a series detailing our trip around South America. View the series so far here. We arrived in Chile weary and unwashed following three days of travelling through the vast, wild and bitterly cold Bolivian salt flats. 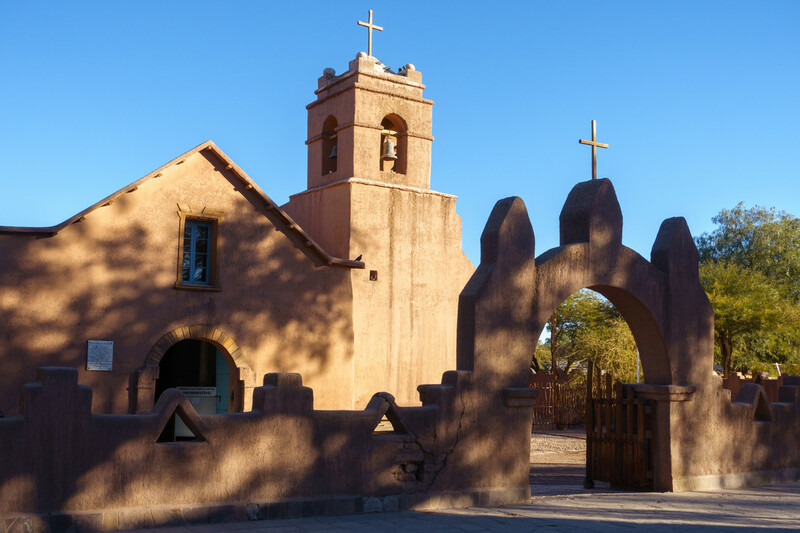 After two unheated salt hostels and hours spent squashed into a rattling 4×4 with six others, San Pedro de Atacama was a return to home comforts: a beautiful place of our own, a bustling town, and a wide choice of food and drink. We ended our first night here with an incredible stargazing experience. The bus from the Bolivian border dropped us off in a sandy carpark just outside San Pedro de Atacama town centre (not that we knew that at the time). 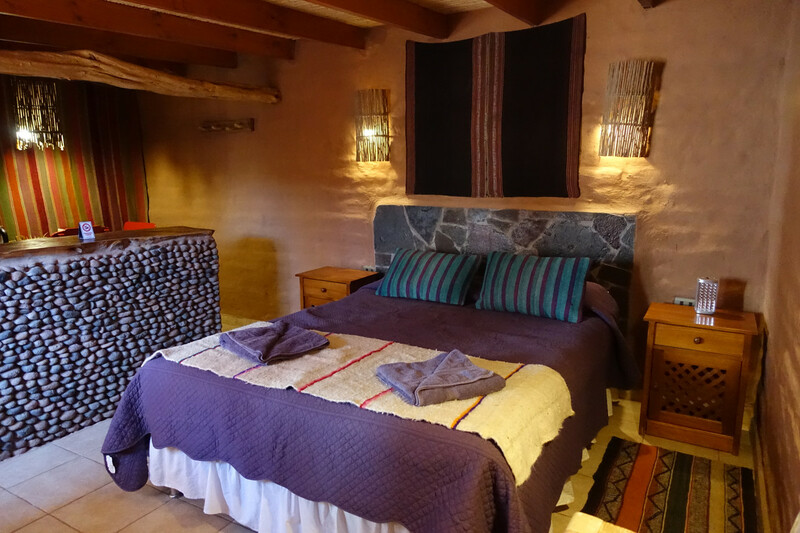 We followed the Google map I’d downloaded to our accommodation, Ckuri Atacama, and dumped our bags there while they finished getting our room ready. We went into town to find lunch. San Pedro town centre appears to be entirely designed for and used by tourists (or travellers, as I’m sure they’d prefer to be known). Every street is a sequence of tour company offices, souvenir shops, restaurants and bars, with the odd bank or grocery store. It makes sense when you realise its the outpost for the driest desert on Earth. Despite that, or maybe partly because of that, we liked San Pedro a lot. The pedestrianised streets filled with attractive adobe buildings and colourful shopfronts made it a pleasure to walk around, and everywhere we looked there were people who looked just as foreign and disoriented as us. The next most notable thing about San Pedro was the number of stray dogs, who congregated and fought like feuding gangs in the central square. They didn’t bother us at all… except on that one night I took home meat from a restaurant meal, and a pack of dogs followed us out of town! We had lunch at Barros Cafe and immediately noticed further signs of tourist-targeting: the hipster-friendly food on offer, and the expensive prices. 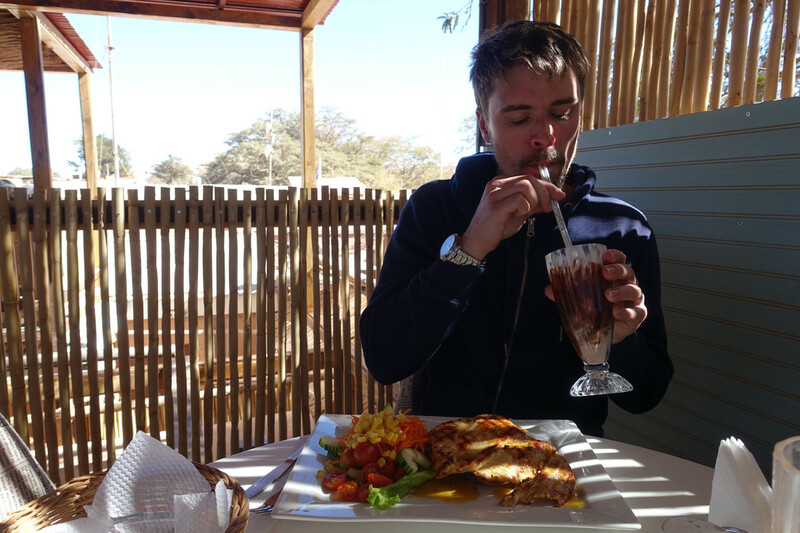 I had a bland salmon salad, which was at least a change from the llama-meat diet we’d had in Bolivia, while Steve had a better meal of grilled chicken with orange and rica rica sauce, finished off with a chocolate milkshake. After lunch we dropped into the office of tour company Cosmo Andina to confirm the tours I’d booked online and to pay the remaining balance. 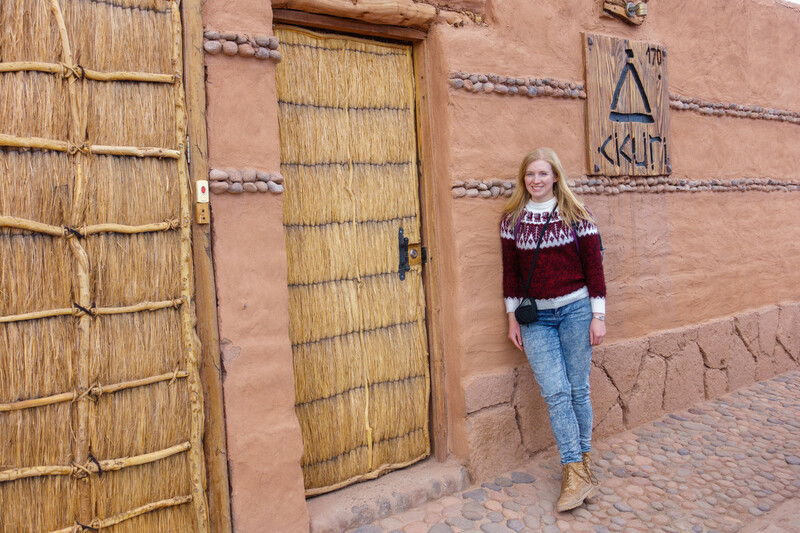 Back at Ckuri Atacama, we were checked in by a woman who spoke as little English as we spoke Spanish. But through a combination of random words, sign language and Google Translate, she showed us round our new lodgings and we tried to tell her how much we loved them! 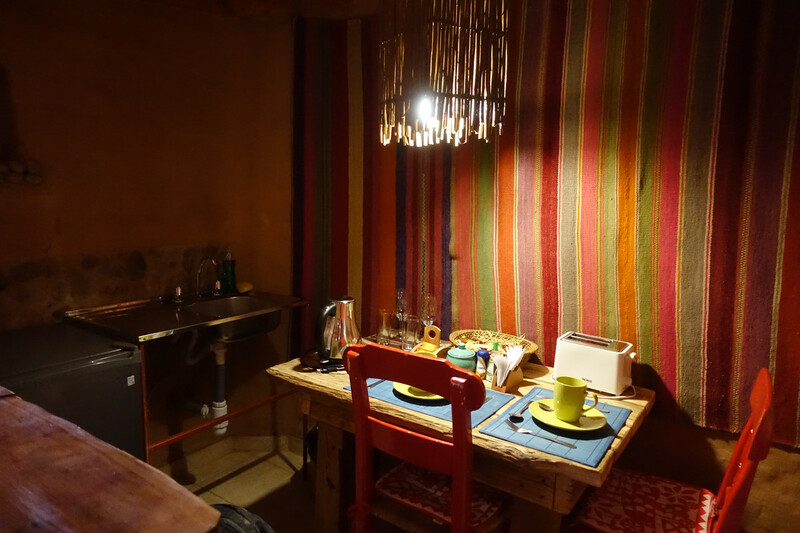 The adobe-built studio with kitchenette and bathroom was rustic but stunning; I loved the rough terracotta walls, locally made furnishings, and vibrant patterned textiles. Outside, we had a cute patio area that we used for drying our swimwear and towels. The woman returned later with a heavy iron teapot and two delicate cups, explaining that she’d made us tea using the local herb rica rica. It was a lovely gesture and I really wanted to love the tea, but unfortunately found it very astringent and bitter! We walked back into town to get an early dinner and ended up in Pizzeria El Charrua, mostly because it was cheaper than everywhere else. Service was casual but quick, and the half and half pizza we shared was decent. Afterwards we returned home to wrap up warm for our pre-booked night of stargazing. 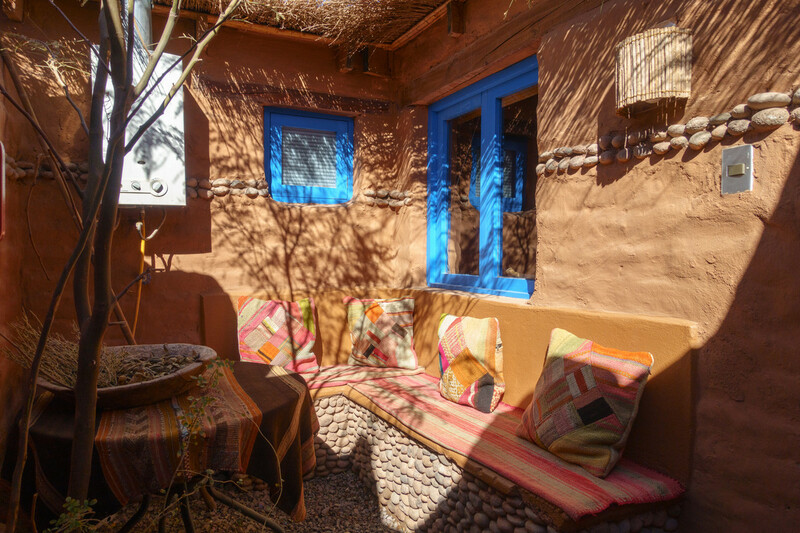 I found the company Time Travel Atacama on TripAdvisor back when we were planning the holiday, and immediately I knew I needn’t look any further. 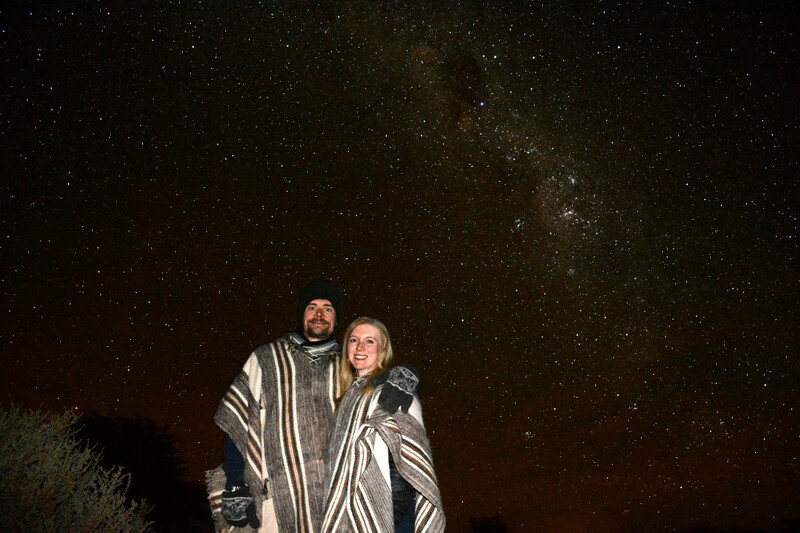 One look at the many awkwardly flash-lit photos of people in ponchos in front of a starry sky, and we agreed we had to get one for ourselves! In fact, I scheduled our entire South America trip around being in Chile for when the Moon was new and the sky dark enough to see the stars clearly, to have The Big Bang Experience. We were picked up at 8pm and driven to the house of Rodrigo, our exuberant guide for the night. On arrival we were given traditional woollen ponchos and shown into a large room with a projector, where Rodrigo gave us a presentation explaining the birth of the universe. It was educational, funny and unique! Afterwards we went into the pitch-black garden, where awaited a large telescope, a tray of hot coals to warm ourselves by, and an assistant to make us hot drinks. Rodrigo pointed out the milky way and constellations that could be seen with the naked eye, then we took it in turns to look at stars and planets through the telescope. The longer we were in the dark the more the stars revealed themselves, until the sky was full to bursting with twinkling stars and spacedust – not a single dark patch between them. 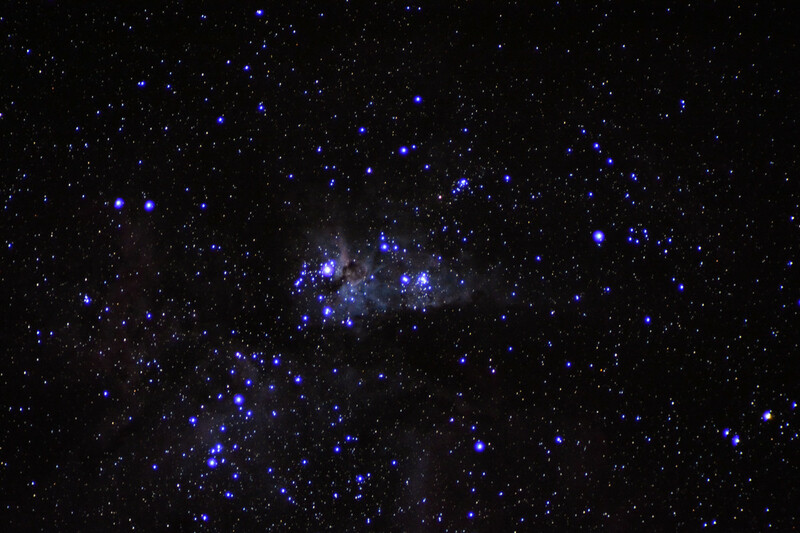 The best part for Steve and I was when Rodrigo showed us how to calibrate our cameras to take the best dark-sky photos. 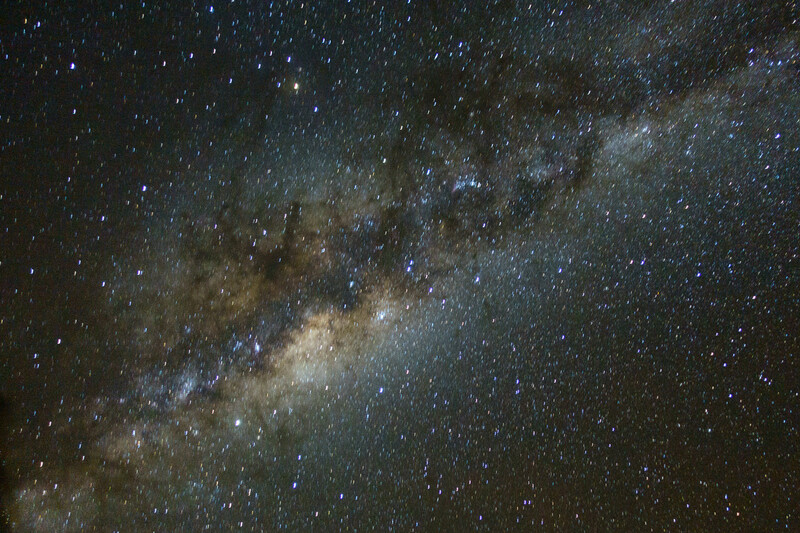 The results were incredible – I could barely believe the photo I got of the milky way with my compact camera, below. And then there were the photos that Rodrigo took himself, which he emailed to us days later. These included the amazing photo of the Carina Nebula, below… and the awkwardly flash-lit photo of us in ponchos, in front of the starry sky, below that! We were back in bed at 12pm and setting our alarms for 4.30am, when we’d be picked up by Cosmo Andino for a trip to the Tatio Geysers. To be notified when my next post goes live, subscribe to this blog or follow Roam with Juliet on Facebook. 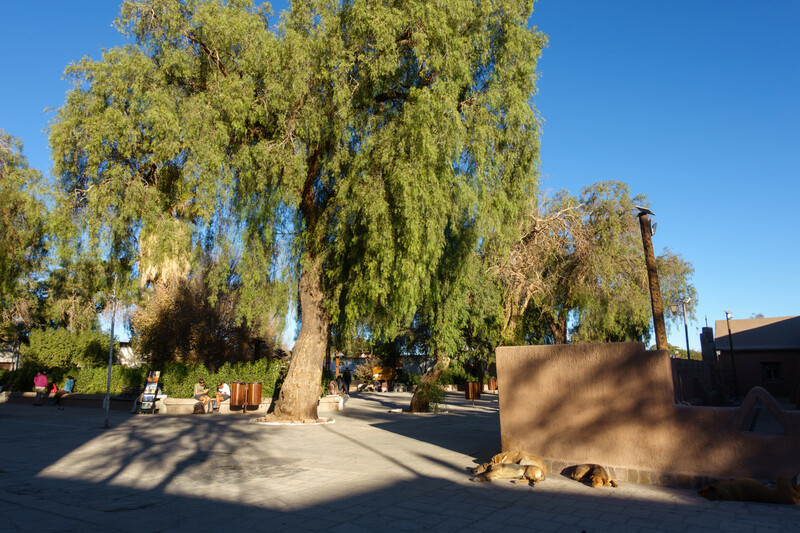 Posted in Chile, Photography, Reviews, South America, TravelTagged Ckuri Atacama, San Pedro de Atacama, time travel atacamaBookmark the permalink. I’d always wanted to see the Milky Way and finally it happened! 🙂 thanks for reading!